If you are looking for a revolutionary student planner that will transform every student into a star pupil, this is not it. This is about coping with educational expectations. I remember feeling overwhelmed on my first day of “Civilizations of Spanish-Speaking Countries” during my junior year in college. I discovered the textbook, lectures, assignments, discussions, and tests would all be in Spanish with no English! Now I am a teaching assistant working with high school students who learned – or are learning – English as a second language (ESL). Most of them seem even more overwhelmed than I was. Can you imagine trying to navigate high school classes and society when almost everything is in an unfamiliar or uncomfortable language? Personal organization is one tool that can help students take ownership of their work and break it into manageable parts. 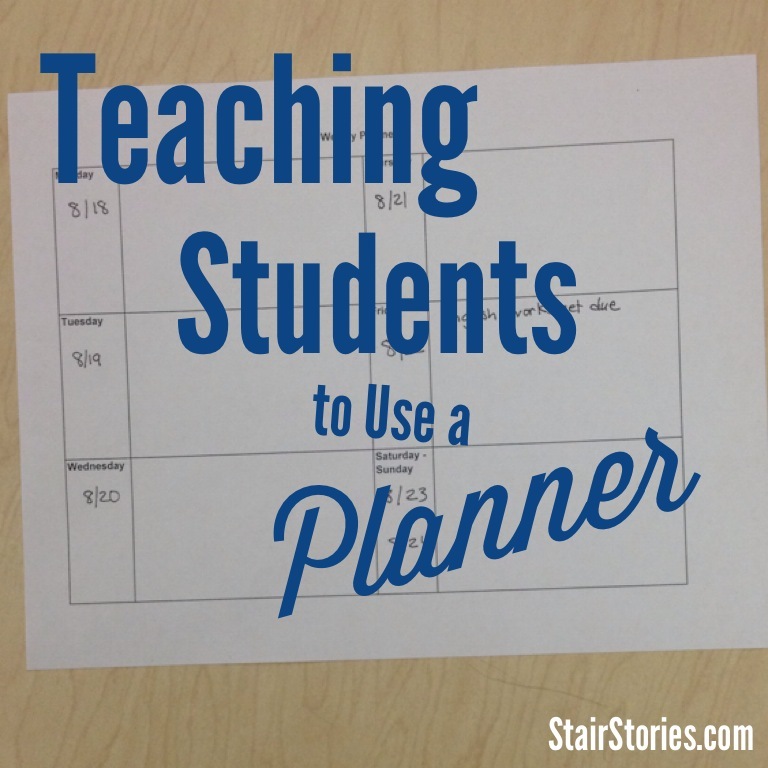 With that in mind, I made a simple, non-distracting planner and am trying to teach students how to use it. 1. Write the date below each day of the week. 2. When you get an assignment, write it on the day that it is due (not the day you get the assignment). 3. When you do homework, check your planner and start with what is due first. 4. When you complete an assignment, check it off on the planner. I like this practice because it helps students recognize that the order they receive assignments is not necessarily the order in which they need to be completed. It is easy to check the planner and make sure they have everything ready for the next day. Our long-term goal, of course is to give the students tools to help them be self-sufficient in high school, college, or wherever life takes them. The ESL teacher assistants have been encouraging the students we work with to try the planner pages. To add motivation, if a student updates and uses the planners for four consecutive weeks, he or she will get a prize. Get my simple, non-distracting planner.